In the Sea of Cortez, researchers delve into the mystery of a bat that makes its living at sea. When the sun sets over the Sea of Cortez, a tiny bat weighing about as much as five nickels emerges from the boulder-covered hillsides on Isla Partida and heads out to sea. To Edward Hurme, a PhD candidate at the University of Maryland who is working in partnership with Tel-Aviv University and Universidad Nacional Autónoma de México, the Mexican fishing bat is as much a marine mammal as any whale or sea lion that makes its home in Baja California. And night, according to Hurme, “is when the magic happens.” All night, the bats swoop across the sea surface, snagging fish that still elude capture by the researchers despite their boats, nets, and high-tech gear. This video follows Hurme and his team in action, as they untangle the mystery of how these endangered bats find their prey. Hurme’s research receives support and/or permits from the following: SEMARNAT, CONANP and SEGOB. Edward Roqueta is an Emmy Award-winning documentary filmmaker and National Geographic explorer with an MFA in science and natural history filmmaking. 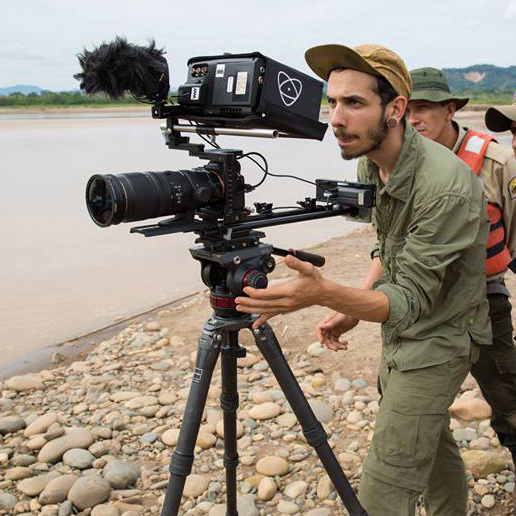 With roots in wildlife ecology and conservation science, Roqueta now produces science and nature films with passion for a variety of nonprofits and companies. His work has screened at numerous documentary, environmental, and wildlife film festivals, and has premiered on National Geographic digital platforms and Montana PBS. Cite this Article: Edward Roqueta “Mexican Fishing Bats,” Hakai Magazine, Jul 25, 2017, accessed April 26th, 2019, https://www.hakaimagazine.com/videos-visuals/mexican-fishing-bats/. In Punta Allen, Mexico, a lobster fishing cooperative supports the community and the environment. A scientist who first sent jellyfish into space reveals secrets to a life without aging.